On the morning of June 30, 2009, police in a small eastern Ontario city made a ghastly discovery: four females dead in a car submerged in a shallow canal -- Canada's first mass honour killing. 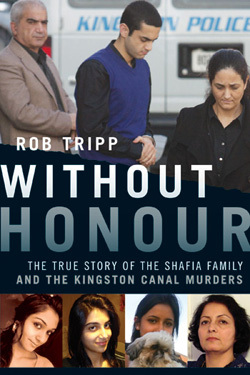 In Without Honour, award-winning journalist Rob Tripp draws on three years of exhaustive research and exclusive interviews to make sense of a senseless crime in a way no other writer could. "The feeling had gnawed at Jake since the catastrophic outcome of his peck on Sahar's cheek in the corridor of St-Ex in the fall of 2007. He had not forgotten the sight of the sad girl standing in the hall, tears trickling down her cheeks, as she explained that her dad got really mad and slapped her." On the morning of June 30, 2009, police in a small eastern Ontario city made a ghastly discovery: four females dead in a car submerged in a shallow canal. Sisters Zainab Shafia, 19, Sahar Shafia, 17, Geeti Shafia, 13, and Rona Mohammad Amir, 50, floated almost serenely inside the car, seemingly the victims of a terrible accident. That morning, Mohammad Shafia, his wife Tooba and their son, Hamed, arrived at the Kingston police station to report the four missing. In a sweeping covert investigation that spanned three continents, police uncovered layers of lies in the Shafias' story and they developed a horrifying theory: Zainab, Sahar, Geeti and Rona had been the victims of a meticulously plotted family murder -- Canada's first mass honour killing. In Without Honour, award-winning journalist Rob Tripp draws on three years of exhaustive research and exclusive interviews to make sense of a senseless crime in a way no other writer could. His unprecedented access tells a story beyond anything the jury heard: a story about a patriarch who fled war and strife in Afghanistan but who did not leave behind his devotion to repressive tradition. Tripp was the first journalist on the scene as the news broke and the only reporter to attend every day of court sessions, through to the convictions of Shafia, Tooba and Hamed on four counts each of first-degree murder. The Shafias are appealing. In this gripping and compassionate account, Tripp reveals the heartbreaking and stunning truth about these crimes fuelled by what Ontario Superior Court Judge Robert Maranger called a "twisted notion of honour," and about the desperate lives of four women who died in the pursuit of freedom. I WAS KINDA SCARED that somin' bad was gonna happen to her. The feeling had gnawed at Jake since the catastrophic outcome of his peck on Sahar's cheek in the corridor of St-Ex in the fall of 2007. He had not forgotten the sight of the sad girl standing in the hall, tears trickling down her cheeks, as she explained that her dad got really mad and slapped her. It was just one harmless little kiss. She had never said that she was afraid of her father, but he believed that she was. If he'd slap her over a kiss on the cheek, what would be his reaction if he caught her doing something really bad? Jake had mostly stayed away from Sahar after that. Word of the verdict spread quickly online among the handful of former St-Exers who had known Sahar and had stayed in touch. Many of them had left Montreal by the time the trial concluded on January 29, 2012. Jake was back in New York, living with his sick mom, when he heard that Sahar's father, mother and brother had been sent to prison. He wasn't surprised, but he was saddened and it stirred memories of the sweet girl who had pursued him. wht do other girls hav that i dont? He kept saying no to her, but never firmly enough to push her away. He enjoyed Sahar's attention, but he had a girlfriend and he was worried about that thing with her dad. Still, he had felt a tinge of jealousy when that crazy text message from Sahar arrived in May 2009. Jake was at his job, at the building where he did janitorial work. He could not respond to messages. He wondered if it was a lie. Maybe she just wanted to get his attention, or make him jealous? Maybe it was a final, desperate ploy to get him to date her. She was pregnant and she was having her boyfriend's baby, she had written. Jake saw her at school, from a distance, once more, but they did not talk after the text message. He never found out whether her shocking claim was true. It was only weeks later that he heard Sahar, Zainab, Geeti and Rona were dead. He was glad that he had something to remind himself of her. He still had the silver chain that she had given him in their first year together at school, and the memory of one magical afternoon they'd spent together at Old Port. It hadn't really been a date, but there had been no denying the feelings it had sparked. She had invited him to go the waterfront with her and her big sister in April 2009. For the first time, he did not rebuff her, but he brought along his twelve-year-old sister, Jennifer. Sahar stepped out of the car when it stopped near the Metro station to pick up Jake and his sister. Jake tried not to stare, but he was agape at how gorgeous she looked. She was wearing a torso-hugging blue corset that exposed her arms and shoulders, tight blue jeans and high-heeled sandals. Eyeliner and mascara accentuated her big brown eyes. Her lips shimmered. He had never seen her like this. He had never looked at her like this. Inside the car, Jake met Zainab and her boyfriend, Ammar, and his friend Wasi, who was driving. They stopped first at McDonald's and then drove downtown to Old Port. Sahar, Jake and Jennifer split off from the others and walked by the water. They told jokes and traded stories about St-Ex and their schoolmates. They stopped at a vendor and Sahar bought ice cream for the trio. Jennifer squealed with delight. It was a sunny spring day and Jake thought Sahar seemed happy; she was smiling most of the time. They did not hold hands or kiss, but she was, at least, close to the boy she coveted. She trusted him with her secrets. Her father was a rich businessman who was building a big, fancy house for the family, she said. He was always away, travelling on business, never home with her and her sisters and brothers. She figured he didn't really care about them. "He doesn't give us any love, just money," she told Jake. "That's all he cares about. He gives me money, not love, and that's what I want. 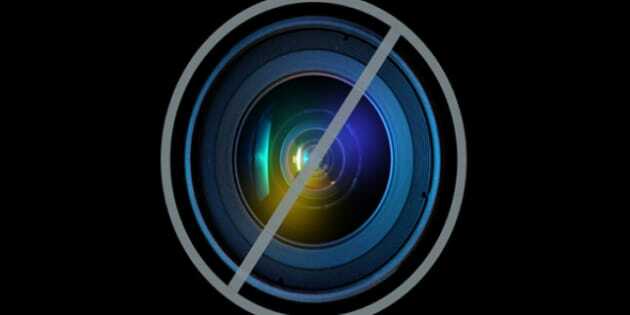 I just want love."